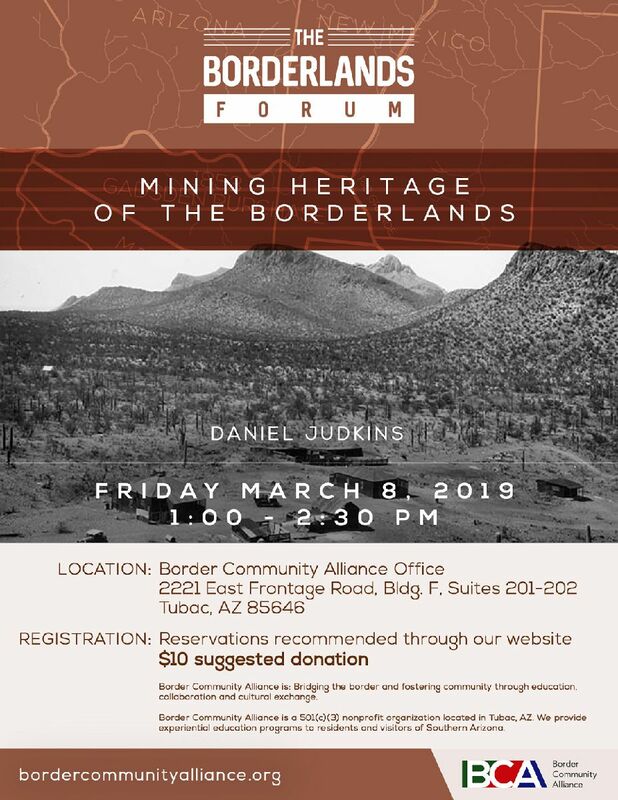 Local historian Dan Judkins will share the history of mining in the Pimería Alta (Arizona-Sonora Borderlands) beginning in the Spanish period. The presentation will highlight the 1736 discovery of the planchas de plata (silver slabs) at Rancho Arizona, a few miles southwest of today's Nogales, Sonora, and the ensuing frenzy of mining activity in the area. This talk will touch on the legends associated with "lost Jesuit treasure" and the "treasures of Tumacácori." Primary source accounts on the area's mineral richness by Forty-Niners who passed down the Santa Cruz Valley as well as their later efforts to develop silver mines in Southern Arizona will be discussed. This presentation also offers an opportunity to learn about the history of several of the most-prolific area mines: Mowry's Patagonia mine, the Salero mine and Hacienda Santa Rita, the Sópori silver mine, the Heintzelman mine at Cerro Colorado, and Ruby and the Oro Blanco mining district.